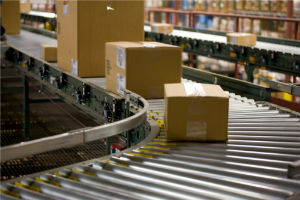 Distribution and wholesale businesses face unique challenges as profit margins narrow and competition increases, both locally and internationally, and distributors must adapt to the changing environment. Whether you change to rely on high-volume overall transactions, to generate revenues, or to specialize in a niche market, you must have a flexible system that can grow with you. It’s critical that orders are processed efficiently, and centralized inventory management with forecasting of future customer demand is essential for maintaining minimum inventory levels. Sales automation with some form of centralized pricing, order management, and sales force integration is also critical to long-term success. Warehouse management functions such as shipping management, storage functions, inventory bin tracking, web access, and customer support are required. And your current accounting system just might not be cutting it anymore. Having your operations, material, financial data, payroll, sales orders, inventory, warehouse management, purchase orders, sales automation, and customer relationship tracking in a single database is critical to success. With a centralized system, you can easily access and control your critical data with alerts, dashboards, and business intelligence reporting. For efficient management of your distribution business, you need processes that define the way you get business done and, as best practices evolve and business automation software is enhanced, your processes must also evolve. Distribution and wholesale businesses must continually review their processes and eliminate ineffective ones that can cause countless wasted hours and resources every year. Inefficient warehouse inventory stocking and tracking operations? Inability to obtain accurate profit margins for all inventory items? Inefficient picking order and shipment processing? Late and incorrect shipment of products? Requirement to streamline order entry processes and reduce paper handling? Difficult or inaccurate invoice processing? Increased competition from the internet or world markets? Enhanced reporting to examine sales by categories and gross margin contribution. Customer relationship management and internal communication tracking and reporting. Improved Inventory tracking and handling by locations. Enhanced dashboard reporting to easily determine slow turning merchandise. Review of your warehouse procedure and enhancement of order processing and picking.